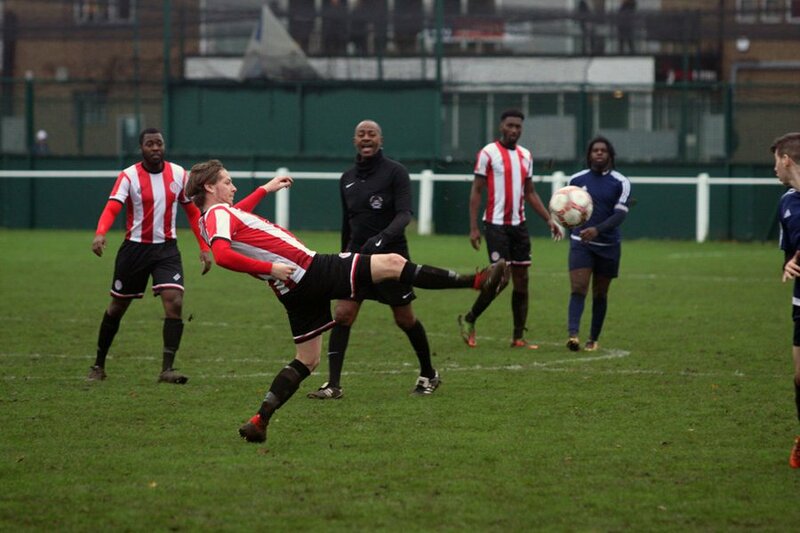 As autumn turns to winter, Clapton Community FC’s attention turns to West London when their Middlesex County Football League (MCFL) campaign continues against The Curve on Saturday. Earlier this season, Saturday’s opponents were known as Kensington United, however several months ago the name of the club was changed. The club are a bit of a mystery with no social media or website, and even their badge is unknown. They also have not responded to any of our emails sent over the past few months. However, The Curve is also the name of a community centre established in North Kensington to support those affected the Grenfell fire and we understand the team is connected to it, so they have good reason for being busy. The Curve offers a range of support and services to the community including; practical focused advice about emotional wellbeing, housing, health and employment. It also runs courses, sessions and community-led activities that support both collective and personal recovery for children, young people and adults. On the pitch, The Curve have established themselves as a very competitive team. They started slowly but have now won their last four league games, against Wilberforce Wanderers, Eastfield, Sporting Club of London and Hereford Palace. They also drew away at league leaders Stonewall, with highlights of that clash available on YouTube. The Curve also have the league’s top scorer, Ahmed Hemden Aly Mahfouz, who has 10 goals in 5 appearances. They currently sit fourth in the table, in spite of forfeiting a game in November against Ealing Town due to unpaid fines. That’s several places ahead of the Tons, although we have played the fewest number of games in the division. Reflecting on last week’s 1-1 draw at home to Eastfield, CCFC player manager Geoff Ocran admitted that the result was frustrating. He said: “I feel we deserved to win on the balance of play and chances. Due to injuries and commitments outside of football, the team have had to go without several of their key players in recent weeks. If you would like to discover more about the mysterious The Curve FC for yourself then come down on Saturday. Nearest stations are North Acton and West Acton (Central Line) or Acton Main Line (National Rail), all of which are around a 10 minute walk from the ground. The 440 bus also runs to North Acton Playing Fields from both North and West Acton stations. The Curve FC vs Clapton CFC is on Saturday, December 8th at 2pm. North Acton Playing Fields, 16 Westfields Road,W3 0AX. Admission is free. Join the Facebook event here.